Heather and her son, Rory. Harvard FXB acknowledges today as the one year anniversary of the passing of Heather Adams. We continue to think of her as a guide in all aspects of our development of a research and policy program on disability with dedicated faculty and staff. Her vision continues to inspire our work. When we think of public health crises today, autism is not likely to top our list. Yet, according to the US Centers for Disease Control and Prevention, it should be a front and center concern. One in sixty-eight children and one in forty-two boys in the US were diagnosed with autism spectrum diseases in 2012, and the numbers are steadily rising. Globally the scale of the crisis is no smaller. 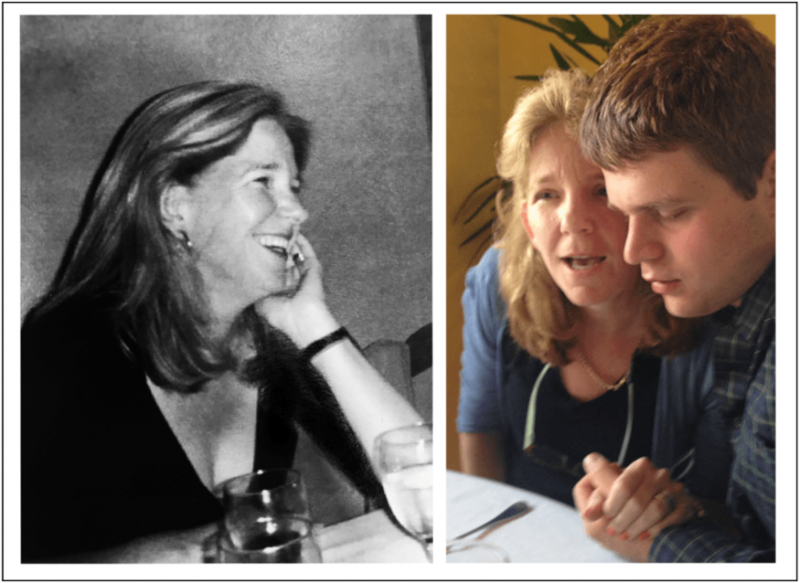 Heather Adams, a Harvard FXB senior fellow, human rights expert, and mother of three children, including a cherished son with an intellectual disability, dedicated her life to this field. Tragically, in the midst of her career, she died of breast cancer on August 28, 2016. Heather joined Harvard FXB as a fellow in 2012, having completed a master’s in studies in international human rights law at Oxford University. Her thesis traced the 20th century campaign of killing people with disabilities, arguing that such assaults against this defined category of persons should be listed among the acts of genocide defined by the UN Genocide Convention. Building on her research on human rights and disabilities and her years of advocacy on the rights of people with intellectual disabilities, including autism in particular, Heather went on to found and direct Harvard FXB Center’s Program on Empowering People with Intellectual Disabilities. An admired and collegial member of the Center, she worked particularly closely with another FXB fellow, Dr. Jumana Odeh, a Palestinian pediatrician and humanitarian physician, founder and director of the Palestinian Happy Child Center (PHCC), in Ramallah, Palestine. Despite her illness, Heather made several trips to Palestine and to other countries in the Middle East, carefully studying the innovative model of autism and Down syndrome care provided by the PHCC and dedicatedly fundraising for it. One of the concerns that motivated Heather’s work was the dramatic inadequacy in access to essential services. Despite the incidence of autism and its lifelong consequences for those with the condition and their families, the provision of institutional and community care for those affected is dramatically deficient, a clear manifestation of the enduring stigma and marginalization affecting the field of intellectual disabilities as a whole. A particular focus of Heather’s work was the disparity in access to services as a function of social status and financial resources. According to a recent Harvard FXB Working Paper, “Empowering People with Intellectual Disabilities,”written by Heather very shortly before her death, in this field “the US resembles a developing country, wherein only the wealthy can buy the health care and social services they need”. Another abiding target of Heather’s research and advocacy was the devastating fall-off in investment and attention of any sort to the needs and rights of people with autism ageing out of childhood. Even a prosperous and relatively well administered state like Massachusetts is, according to the report, “woefully unprepared to meet the financial and protection challenges it must, by law, assume”. In 2015 in this state, which keeps comparatively good statistics, over 800 young people with autism aged out, on their 22nd birthday, from state supports for childhood residential care. But funds were available for only 200-250 of them thereafter. Heather, as the mother of an adolescent approaching this cutoff point, was for years tormented by the enormous burden of anxiety and distress that accompanies finding suitable care for one’s child’s future life, a burden she shared with every other parent of an autistic child. Coping with the challenges of raising a severely intellectually disabled child is a serious stressor in itself. When this is compounded by concerns about the prospect of neglect and worse as the child grows up and the parent is no longer there as first guardian of his or her interests generates an acute situation of double jeopardy. Heather was tireless in her advocacy on this point, with Massachusetts policymakers and relevant officials. The crux is funding and public awareness; Heather’s argument is that a humane society, attentive to its humane laws written and passed within the framework of rights, must fulfill its obligations. The shortfall in the quantum of service provision was a central plank of Heather’s work. But she was equally eloquent and passionate in her critique of deficits in the quality of care provided. Services delivered in regimented, impersonal, even patronizing settings made a travesty of the rights owed to those with autism. Like many disability rights activists she stressed the nonnegotiable demand that dignity, love and respect for the individual agency of each person be at the heart of the vision of care. She viewed the creation of safe and harmonious, intimate and supportive spaces as an essential starting place. Heather knew how difficult it was to establish such principles and structures, and she devoted herself to advocating for parents and community members to engage in this process. Integrating the autistic community within its broader social environment was, for her, essential. Her report analyzes case studies that provide inspiring approximations to this high standard in Massachusetts. Heather and her family moved to Massachusetts from the UK to find a suitable setting for her son. Yet it was not her engagement with intellectual disabilities that first brought Heather into contact with Harvard. Testament to her deep selflessness and humility, Heather approached us asking whether she could be an unpaid volunteer to provide “any help needed.” She wished to assist Harvard’s Scholars at Risk program, an ambitious program that affords one-year fellowships to scholars facing persecution. As she accompanied fellows to help them open bank accounts or arrange hospital visits, as she re-drafted documents and copied them for meetings, she asked for neither title nor office space. Over several years she supported those of us committed to building that program and helping the brave scholars it benefits, evidence of her dedication to human rights issues in practice and her firmly pragmatic determination to make a personal contribution. She continued as a treasured member of the Scholars at Risk committee until her illness made this impossible, in the process (and together with her husband) making a most generous gift to the program. A visionary thinker and a self-effacing and generous human being, her loss is deeply felt by all who knew her. Her legacy of work, courage and deep commitment to the vulnerable lives on among all of us who have benefited so much from her insight, dedication and irreplaceable friendship. Precise diagnosis of this condition and specific data on its prevalence are contested, but the overall scope of the problem is not in dispute. Empowering People with Intellectual Disabilities: Living Communities in Massachusetts, FXB Working Paper, p. 27.